Arabic novels are so frequently described as Kafkaesque or Orwellian that you’d be forgiven for thinking that the two authors were themselves Arab. It is a small wonder that noone has yet tried to uncover their secret Arab origins by etymologizing their names (قفقاء and الروال) in the way that the Turks have for Shakespeare. It is true that both of their names have become literary shorthand for a type of writing dealing with dystopia, oppressive bureaucracies, and the horrors of totalitarian society. It is also true that Arab societies have continued unabated to live through dystopias, oppressive bureaucracies, and the horrors of totalitarian society. But the label flattens out what is particular and new about so much excellent Arabic writing, and suggests that everything you need to know about the daily experience of living in a dysfunctional and cruel system can be captured by the term “nightmarish”. This habit of using these terms to describe Arabic novels is not just pervasive, it is suffocating. The recent group of post-Revolution Egyptian novels could barely make it out into the open before the labels Kafkaesque and Orwellian came raining down on them. The Queue by Basma Abdel Aziz alone was described in reference to Kafka or Orwell by the New York Times, NPR, The Toronto Globe and Mail, the New York Post, the New Inquiry, World Literature Today, Counterpunch, MadaMasr, and Foreign Policy just to give a sample. In her New York Times article about this group of novels, Alexandra Alter uses the names right out of the gate, and has to struggle for the rest of article coming up with synonyms like “gritty” and “hallucinatory horror” and “darkly satirical”. But if you’re limited to using the terms once per article, there seems to be no other prohibition whatsoever for using them to review an Arabic novel, not even the motivation to think of better comparisons. In a lazy gesture, Kirkus Review calls Nihad Sirees’s The Silence and the Roar “Kafka meets Catch-22“. In an even lazier gesture, Publishers Weekly throws around vague hearsay claiming that “the author, who has been compared to Kafka and Orwell, is a Syrian exile…” Prospect Magazine called Frankenstein in Baghdad Kafkaesque even though the novel is actually a remake of Shelley. Even someone as articulate as Edward Said used “Kafkaesque” to describe The Pessoptimist. Boldly subverting the injunction to limit himself to one use of the term, Robyn Cresswell finds 5 different ways to work in Kafka in his article on Osama Alomar, using a quote by Kafka, the adjective Kafkaesque, and then by placing responsibility on readers, who will most likely be reminded of Kafka when reading The Teeth of the Comb & Other Stories. Kafka made the nightmarish allegory one of the possibilities of the present, but we are living an unadorned nightmare that is more horrific than any symbolic version…The nightmare of the present takes precedence over the allegorical nightmare, draining the allegory of all meaning and inviting us to write it down in the language of the victims and their sufferings, proposing a new literary approach to produce metaphors from an accumulation of stories, transforming the latter into into mirrors for those stories that either precede or come after them. The Book of Safety by Yassar Abdel Hafez is a strange and beautiful book which follows exactly this new literary approach. Comparisons to Kafka or Orwell notwithstanding, the novel is able to move beyond Kafka and Orwell to depict a fictional version of contemporary Egypt on its own fucked-up terrain. True, Kafka is right there in the beginning when the protagonist Khalid Mamoun, on page 10, references the Metamorphosis. He claims that reading the novel was the first time that he felt fear. Kafka was a way for him to learn that “the world has no logic, and that stories are truer than reality”. But one allegory isn’t enough to carry Khalid or any of the other characters through the surreal world of the novel, and Abdel Hafez is perfectly capable of supplying his own complex, confused, illogical landscape for readers. Along with the typical set pieces you’d expect in dystopian Arab fiction—soulless bureaucracy and scenes of interrogation—is a plot that is much stranger, much more difficult to refract through a single metaphor. To this end, the book is at the same time engaged in conversation with a wide range of literature and history, from Tolstoy to Robspierre, Ihsan Abdel-Quddous and Martin Heidegger. 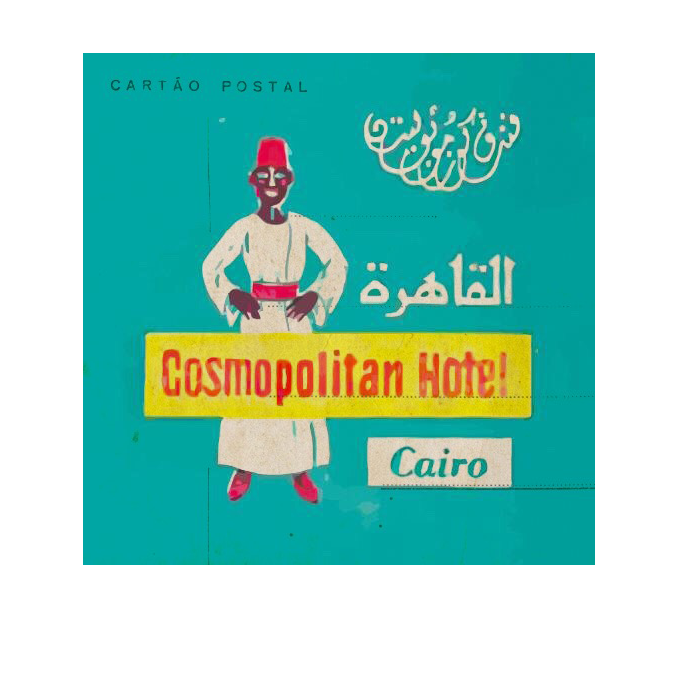 The novel follows a state employee named Khaled Mamoun who works at the Palace of Confessions. (At this point we could just as easily make reference to al-Anba’ in Khitat al-Ghitani rather than having to mention The Castle.) One detainee of special interest is Mustafa Ismail, a professional cat burglar who has developed his own complex ethics for robbing people. Ismail has not only worked out a moral system for his crimes, but he has committed them to writing in a work called The Book of Safety. The book’s oracular advice is scattered throughout the novel, often in the form of epigraphs opening chapters. In your victim’s home, do not act like a blundering thief driven by resentment to wreck and destroy. Treat the site of your burglary as though it were your own home. The Book of Safety as the text within a text in the novel is not used as a metaphorical critique of the modern state. It is an indictment of just how moralizing and the cultivation of self-serving virtues come to be reinforcing; potentially more of a comment on Egyptian television pundits and evangelists than on classical Stalinism. Certainly Kafka could not have thought up a character as monstrous or verminous as Amr Khalid’s Rafi Barakat or predicted how Tamer Amin might have helped him navigate the bureaucracy. Or it could be a metaphor for the extreme social deterioration and the atomization of the subject which has continued unabated under Sisi’s own cruel and stupid form of neoliberalism. Or the ways in which modern Egyptians invent narratives to cope with the continued erosion of the social contract and the cost of living. Or maybe the Book of Safety stands for something else completely. The point is that Abdel Hafez writes a novel that is thoroughly committed to finding new ways to write about the nightmare of the present. That is not to say that the book is as bleak as Otared or as cynical as Paulo (to name just two more novels not written by Kafka or Orwell). The tone of the novel is oftentimes playful and ironic, laying bear the insanity of modern Egyptian life without resorting to dark visions. The various intersecting stories show how the oppressiveness and illogic that interrupts and stifles people’s lives cannot all be blamed on the omnipotent hand of the malevolent state. The provocative insights that Ismail writes down in his Book of Safety are not ultimately punished by the Palace of Confessions, but are slowly sapped of their power during editing by a commercial publisher. The novel shares this plausibly absurd vision with the socially conscious short stories of fellow Egyptians Yusuf Idris and Yusuf Sharouni. Idris’ story “The Queue”, to take one example, offers a vision of “dystopia without boogeymen” that Egyptian writers like Yasser Abdel Hafez are so good at depicting. Stories in which the dystopian landscape is not the singular design of an overlord, but the improvised clutter of a failing state. The story describes a fence around a country marketplace has an odd feature. The fence is made of “iron spikes except for a gap of about two metres where the spikes were replaced by a sturdy wall made of cement and rubble”. Over the course of the story we learn that this seemingly bizarre feature came about when villagers, refusing to walk all the way around the fence to be able to enter the marketplace, had continuously made holes in the fence at that exact spot and walked through. The local government keeps trying to get the villagers to stop trampling through private property, but nothing proves to be stronger than the shortest distance between two points. In the end, the government resorts to cement.